We’re a small group of writers in the Dingwall area who like to meet weekly to read and listen to each others’ work. Members come and go, so the group tends to stay at around ten – no more than can fit around a table. RW welcomes new members as long as there is mutual respect: we come to listen as well as to read. Several of our members have gone on to win prizes and publish their work nationally. The year is divided into four ‘terms’ and members are asked to pay a term fee (currently £20). This money is spent occasionally on inviting a guest writer/tutor to work with the group on new creative approaches. Also we sponsor the annual Young Ross-shire Writers Competition. This is open to all P7 students in Ross-shire and rewards the best three stories with cash prizes presented at a school assembly at the end of the school year. We believe this is a good way of encouraging creative writing in our own community.If you are an active writer (whether it’s novels, shorter fiction, poetry, drama or scripts) and live close to Dingwall why not get in touch? We meet for 2 hours every Thursday morning. 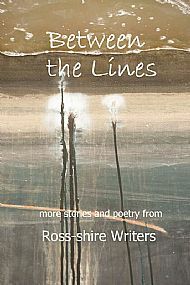 Ross-shire Writers has published four anthologies, with the latest, 'Between the Lines' now available to buy. Please click on Publications for more details. We are sorry to announce that our long-standing member Catriona passed away on 26th November after a short illness. Her wonderful storytelling skills, humour and kindess will be missed by her many friends. 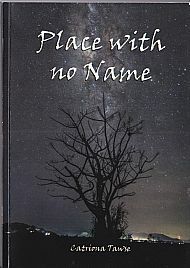 Catriona's legacy will live on in the form of an anthology of her short stories, Place with no Name. We are happy that this was published in October prior to her final illness so that she could enjoy the successful completion of her book.